The European Union’s Brexit negotiator on Thursday said that gaps remain to be bridged in talks on the U.K.’s departure from the bloc as time runs out to secure a deal and have it endorsed. Britain leaves the EU on March 29, but a deal must be sealed in the coming weeks to leave enough time for the U.K. Parliament and European Parliament to sign it off. “We need much more work” to clinch an agreement, Michel Barnier told The Associated Press on the sidelines of a congress of center-right political parties in Helsinki, Finland. The main obstacle to an agreement is how to keep goods flowing smoothly across the border between the Republic of Ireland, an EU member, and Northern Ireland, which is part of the U.K. All parties have committed to avoid a “hard border” with costly and time-consuming border checks that would hamper business. Any new customs posts on the border could also re-ignite lingering sectarian tensions. 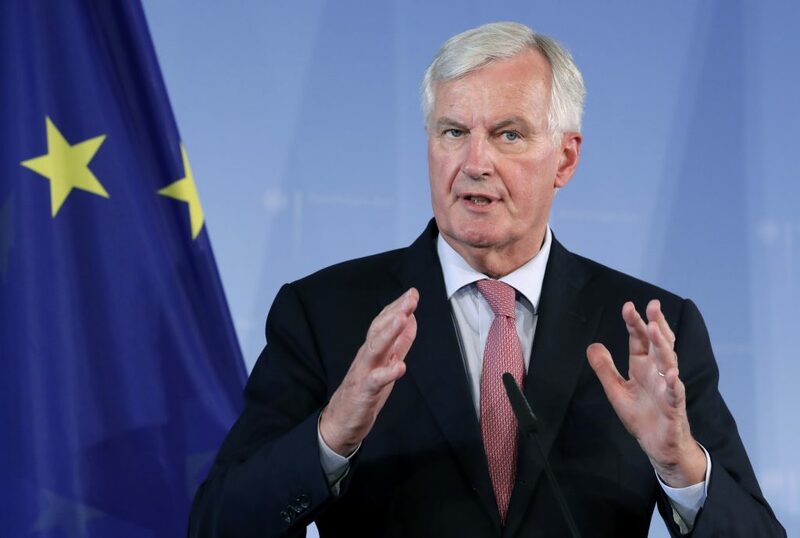 European leaders are awaiting Barnier’s assessment as to whether sufficient progress has been made in the Brexit negotiations for an EU summit to be convened to announce a deal. Rumors are swirling that one might take place by the end of November, weeks ahead of a pre-planned summit in mid-December, but Barnier declined to say when or if that would happen. In Paris, Britain’s foreign secretary, Jeremy Hunt, said Brexit negotiations are in “the final phase” and that he is confident an agreement will be reached. Later, addressing leaders of the European People’s Party group, Barnier warned of the threat that rising nationalism and populism pose to the EU ahead of European Parliament elections in May. He referred to Nigel Farage, the former U.K. Independence Party leader who helped convinced many Britons to vote for Brexit. The elections will be the first of the post-Brexit era. Europe’s incapacity to manage migration has fueled far-right sentiment across the continent and many worry that nationalists might make more progress in May. The slow pace of Brexit talks and the standoff between the EU and Italy over the budget plans of the populist government in Rome are reminders of the kinds of upheaval that might occur if disenchanted European voters look to the right for answers.